Dodge Ram Heavy Duty trucks offer many available comforts and conveniences. This is so you can relax during a long day on the road. Detailed craftsmanship can be seen all around in features like the upgraded interior with a soft-touch instrument panel and door trim. It is available two-tone upholstery. It also has detailed stitching on the seats and throughout the cabin. The Laramie Longhorn® Edition features unique laser-etched stitching on the leather trim throughout the cabin. It also has custom gauges and touches of crafted silver on buckles. As well as instrumentation, including silver badging. This emblems us to further define this exceptional luxury pickup. Dodge Ram Heavy Duty Trucks are made with stain, odor and static-resistant seat fabric. This makes interior cleanup quick and easy after a day on the job. Its protection does not diminish with time or wear. Dodge Ram Heavy Duty trucks are designed with big-rig styling. These trucks impress with more than just towing and payload. Thanks to features like available chrome mirrors, door handles and chrome-clad wheels. 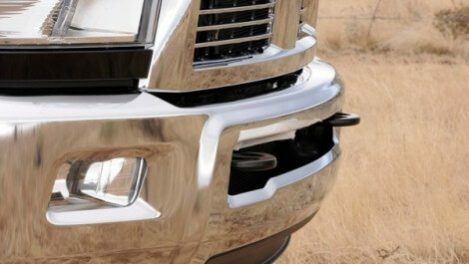 As well as a tall, aerodynamic louvered hood to accommodate the available legendary 6.7L Cummins® Turbo Diesel engine. Plus a signature Ram crosshair grille with black or chrome billet. The available, unique Mopar® aluminum accent color running boards are custom-designed to match your truck’s contours and provide easier entry and exit from the cab. Electronic Range Select allows the driver to manually limit the highest available transmission gear. This enables manual upshifts and downshifts based on road speed and engine speed. Tow / Haul mode improves vehicle performance during trailer towing or heavy-load hauling. When Tow / Haul mode is selected, a revised shift schedule is used to provide more power. It can also reduce transmission shift changes and “gear hunting.” The Tow / Haul switch is located in the center stack of the instrument panel. The workhorse 6.7L Cummins® Turbo Diesel engine has been a job site staple for years, and for a good reason. It brings exceptional power and durability to the biggest, toughest jobs. And on the Dodge Ram 3500, that trusted diesel performance comes standard. 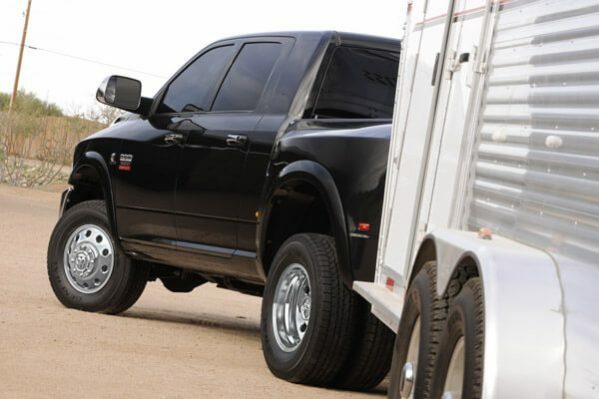 Whether you carry your weight in a trailer or your cargo box, the Dodge Ram Heavy Duty masters towing and hauling. 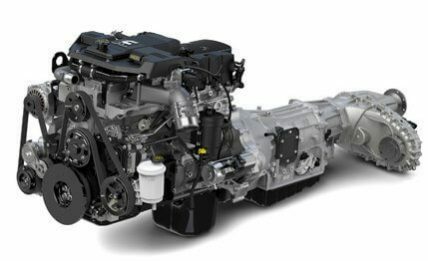 To help you carry the load, the enhanced 6.7L Cummins® High Output Turbo Diesel engine generates an unsurpassed 800 pound-feet of maximum torque. As well as boosting maximum towing capacity to 22,750 pounds. 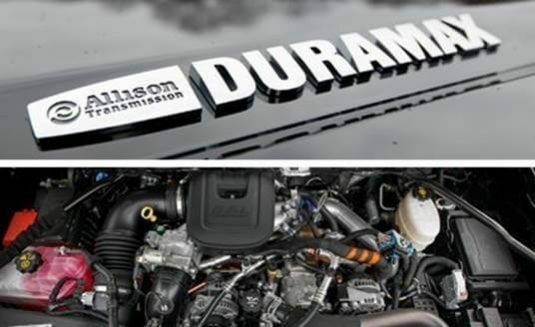 Furthermore, the Cummins High Output Turbo Diesel engine is available with an automatic transmission. This features an electronic range select and tow / haul mode. Being protected on the way to work is just as important as job site safety. Front and side airbags offer impact protection, while crumple zones and side-impact door beams provide structural safety. 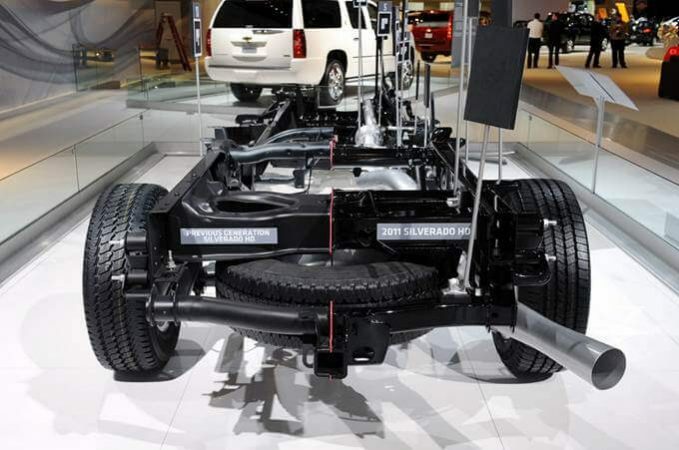 Dodge Ram Heavy Duty trucks needs large brakes. This is due to it being so big and powerful. That’s why we go big on our brake pistons and calipers. It’s also why our brake pads cover a wide surface area. As a result, this allows you to stop with confidence and ensures longer intervals between brake jobs. The available ParkView® Rear Back Up Camera allows you to see an image of what’s behind your truck. 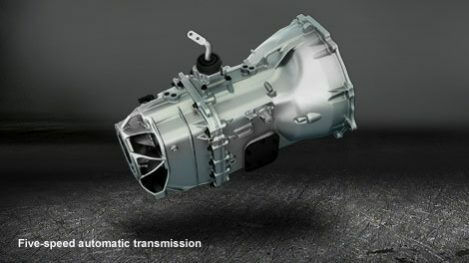 It uses the Uconnect® System whenever the transmission is put into reverse. The camera is located near the tailgate handle on the rear of the vehicle. As a result, this gives you an extra-wide view, whether you’re backing into a spot or hitching up a trailer.